Things are happening people! 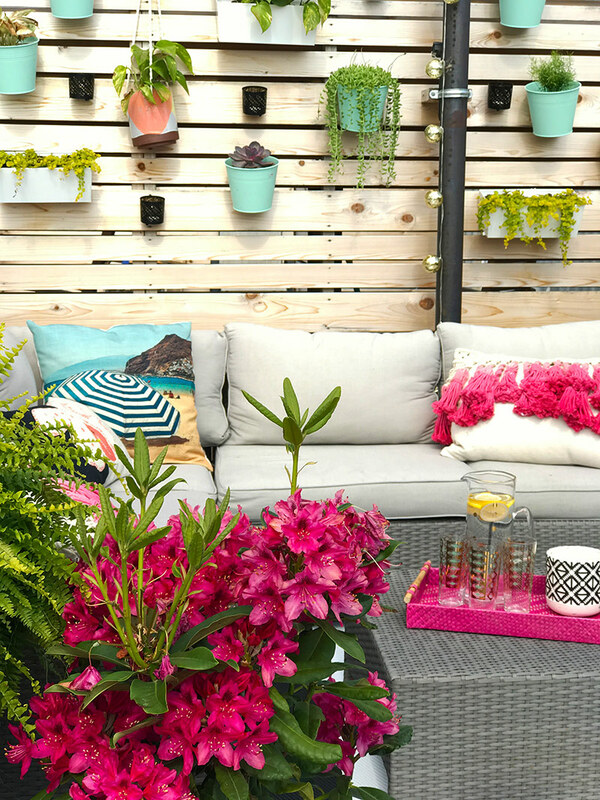 So you’ve seen the patio decor plan, you’ve seen my urban vegetable garden come together and now it’s the time where my inner green thumb meets my outer decor junkie with this DIY Patio Plant Wall project. 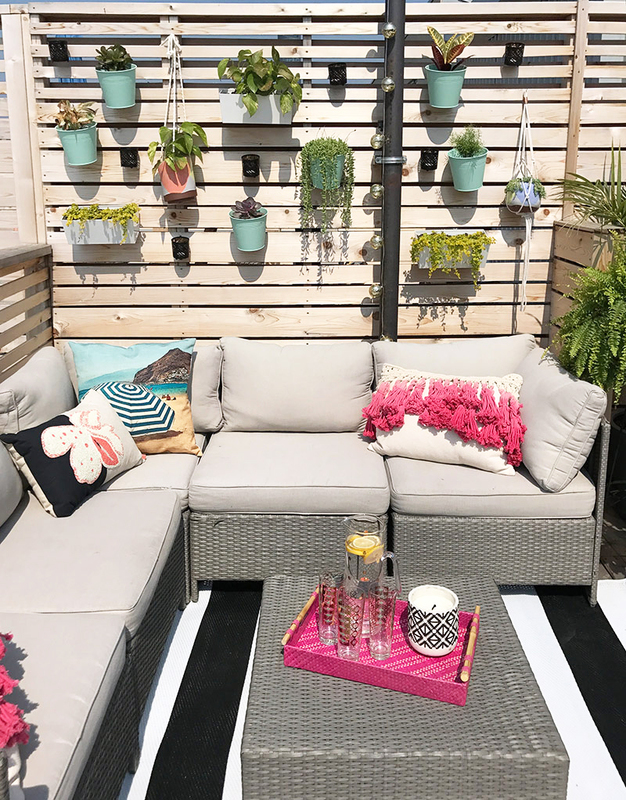 When I saw my new patio wall go up with some great modern looking horizontal wood planks I knew that I wanted to use them as a decor feature. 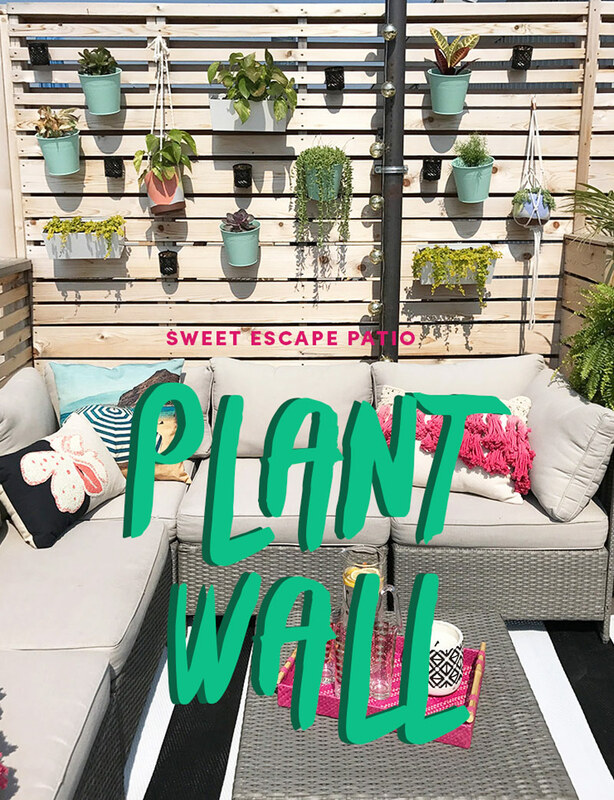 I’ve been wanting to do a feature plant wall for years and it made total sense to use the actual fence as part of the feature rather than build something new to hang as a separate piece. I started with these inexpensive but adorable round pots and mini boxes then found these hooks at Home Depot Canada. It’s a pretty easy DIY project for someone who’s even a bit handy and owns a drill. Depending on the pots you decide to use (plastic will work too!) make sure you have the right drill bit for the material. Then it’s just a matter of drilling some holes and adding the hooks. So once I had all my pots drilled I was ready for the fun part. 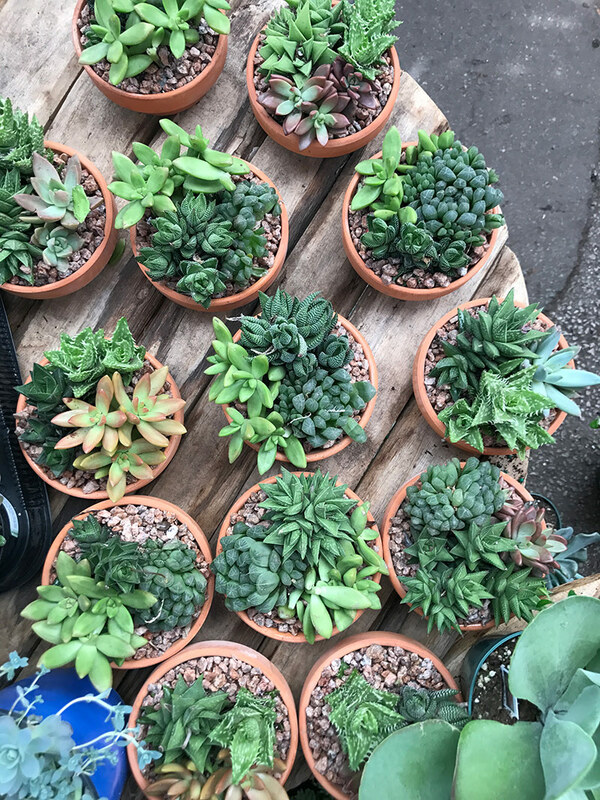 Plant shopping! Walking through a garden centre is really like being a kid in a candy store for adults. The hardest part is trying to control yourself from buying everything. This wall gets full sun so it was important to get plants that can take the heat. 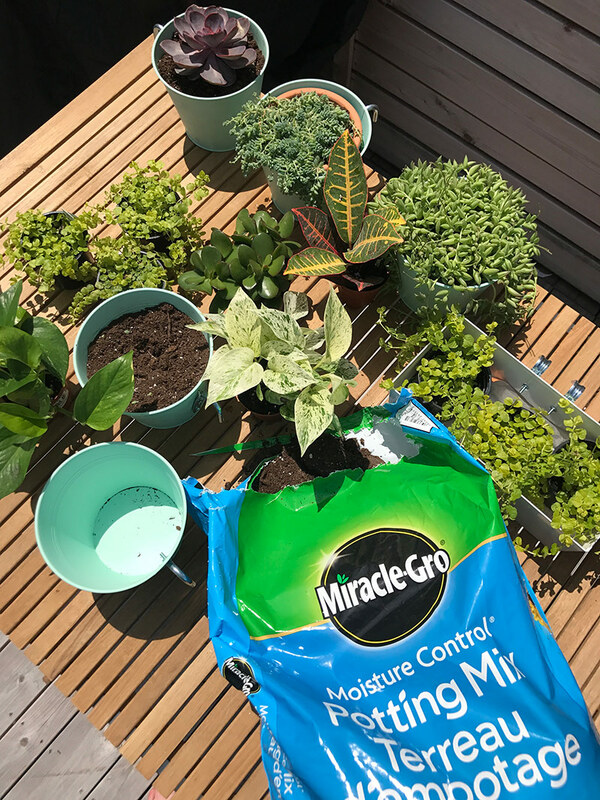 I also paid a bit more and went for the Miracle-Gro® Moisture Control® Potting Mix which is especially made for potted plants – it has extra nutrients that they can’t get from the ground (obv) and it helps to avoid over/under watering by controlling the moisture. 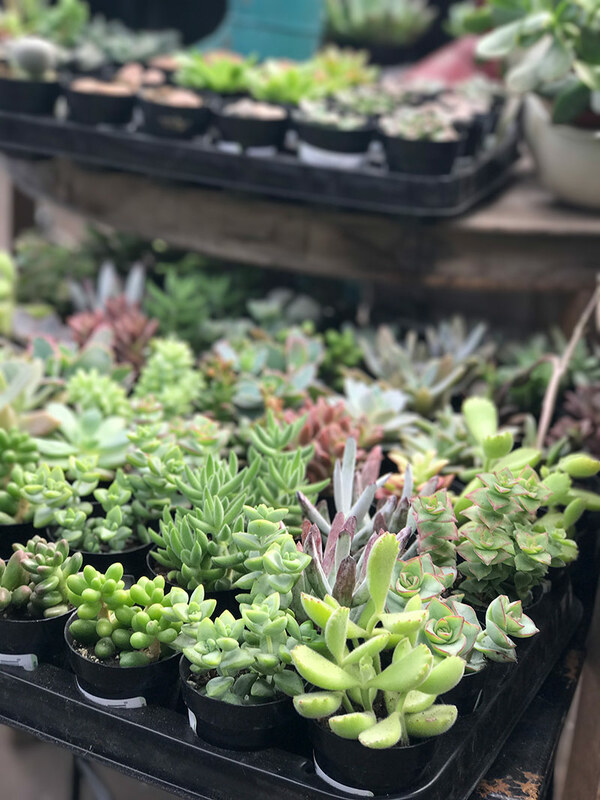 Being in full sun and in small pots, these guys could use the extra moisture and nutrients to thrive. These projects are definitely a labour of love and I thought it was worth it after spending so much time and effort on the project to spend a bit more on a quality soil to get the best results. I also plan to follow up with some Miracle-Gro® Shake ‘N Feed® All Purpose Continuous Release Plant Food because although the nutrients in the soil will help the plants get off to good start, they will eventually get used up and need to be replenished. Just like people, you gotta keep these guys fed to keep them happy! I wanted my wall to have a mix of leafy hanging plants as well as some hardy sun-loving succulents which are my favourite. Once you have all your plants just have some fun arranging them to create your piece of live green wall art. 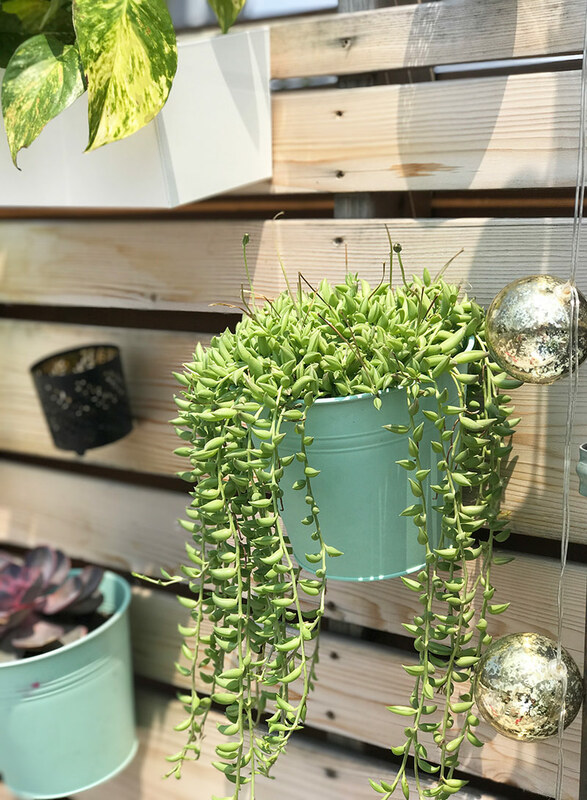 What’s great about using these hanging pots rather than just nail/screw them directly into the wall is that they’re mobile so you can move them around and change up the design whenever your indecisive decor heart desires. I added a few hanging planters for some design & texture variety. I also added some hole punched tea light holders and a string of solar powered lights which will make the wall look extra dreamy after the sun sets. 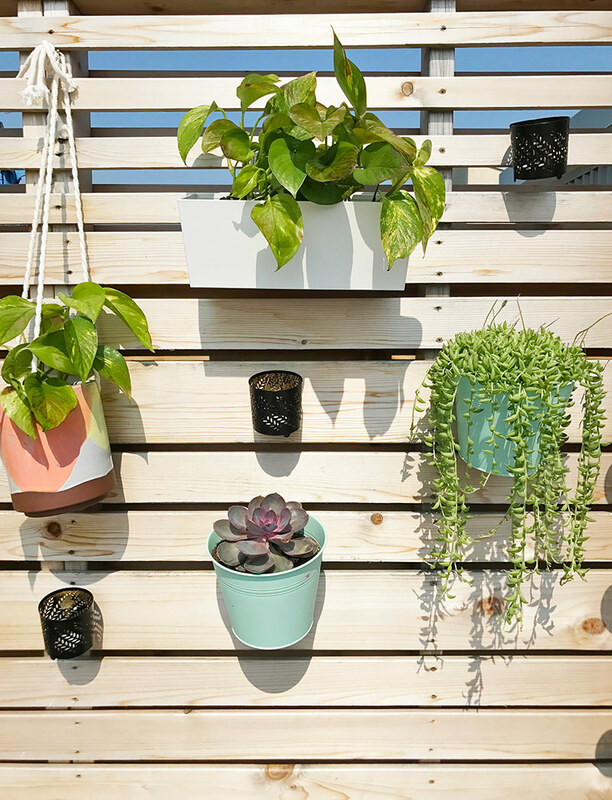 There’s really no rules, just have fun creating your own patio plant wall! Easy right? But pretty impressive if I do say so myself. 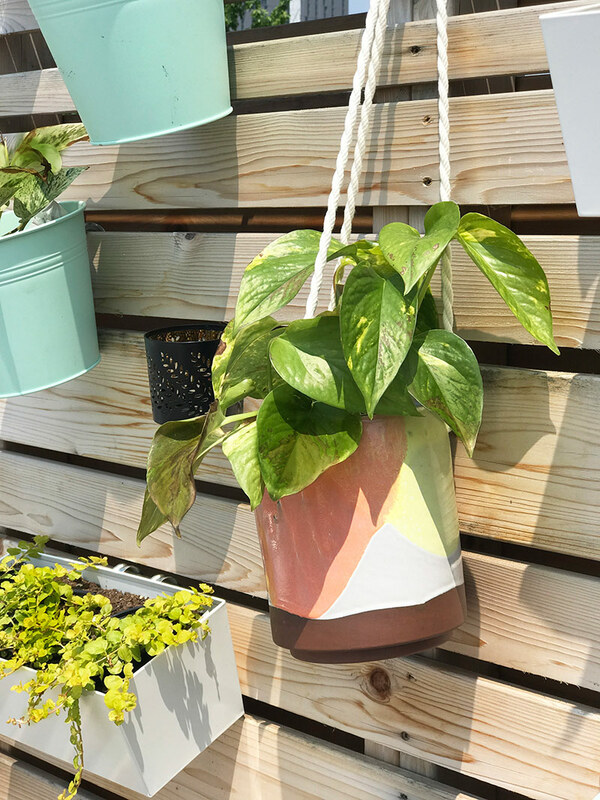 Another benefit of these hanging pots is that you can easy take down the planters at the end of the season and tuck them away inside for the winter. 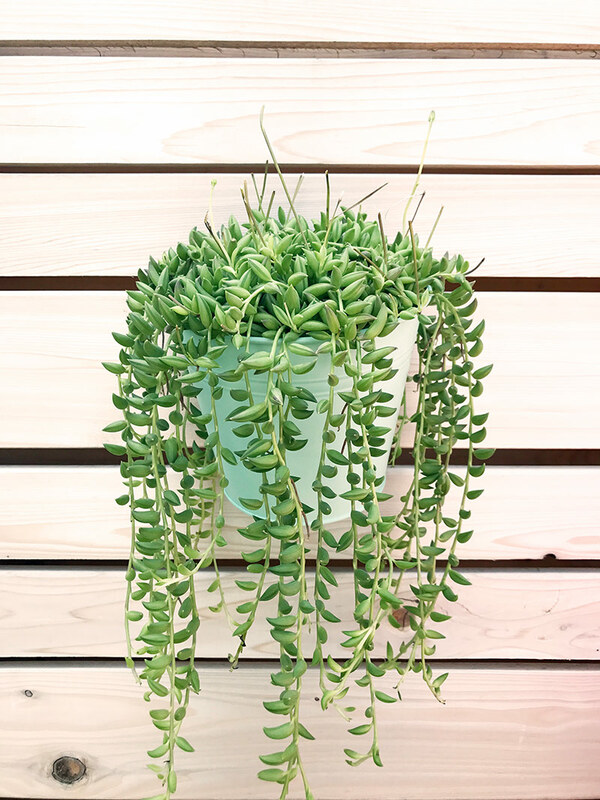 If you have the space you can move the whole wall indoors and enjoy some green plant wall art all year long. Another win in the green thumb dept! 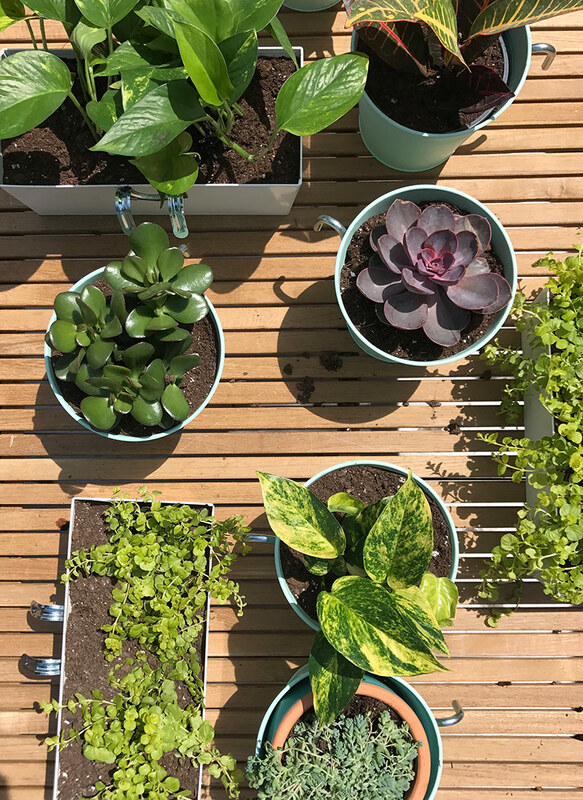 Follow along with Miracle-Gro on Instagram or Facebook to see what other green projects myself and the #ScottsGroCrew are getting our hands dirty with this Summer. 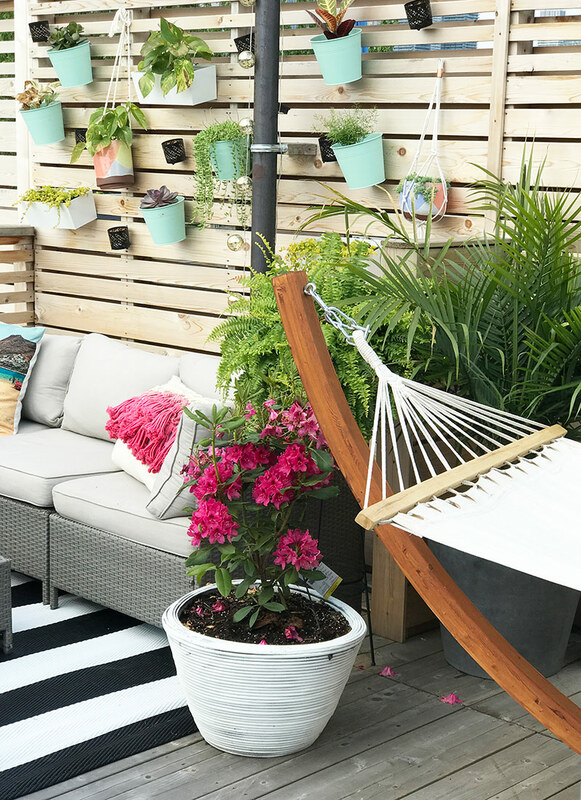 Next up is the full patio reveal which I’m really excited to share with you. Here’s a wider shot with a little sneak peek. If you saw my recent loft wall makeover you will realize by this photo that I now own not one, but TWO hammocks. Who needs a cottage on a lake when you can “hang out” in the city with two hammocks surrounded by so many plants?! You are right, why would you want to want to go away, when you have this roof-top patio at your door. You have done a wonderful job.